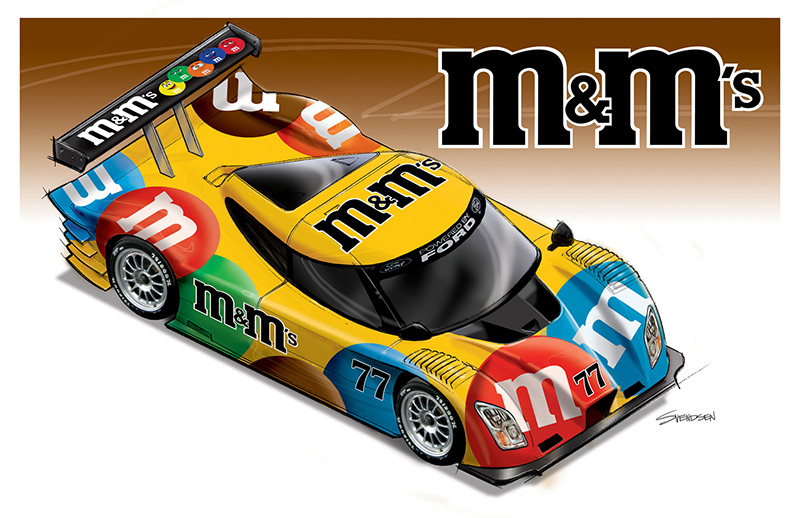 I've designed a number of racing car graphic paint schemes (or liveries, as they say in the U.K.) for various road racing teams as a way to help them obtain sponsorship. 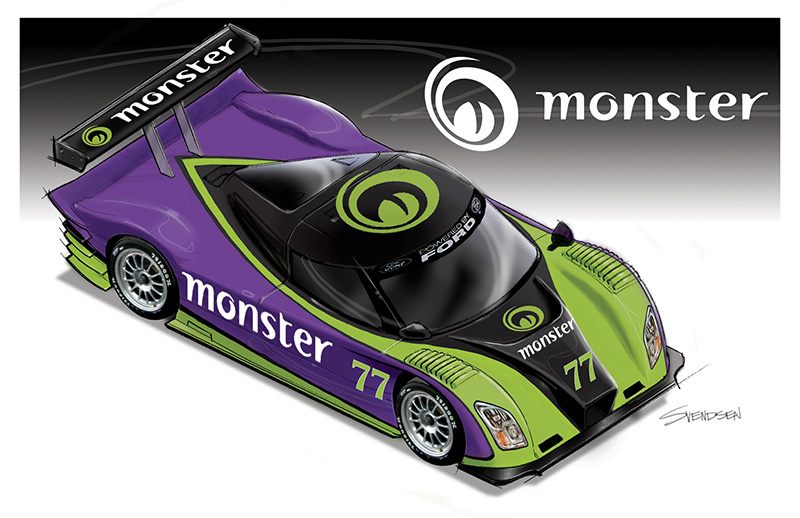 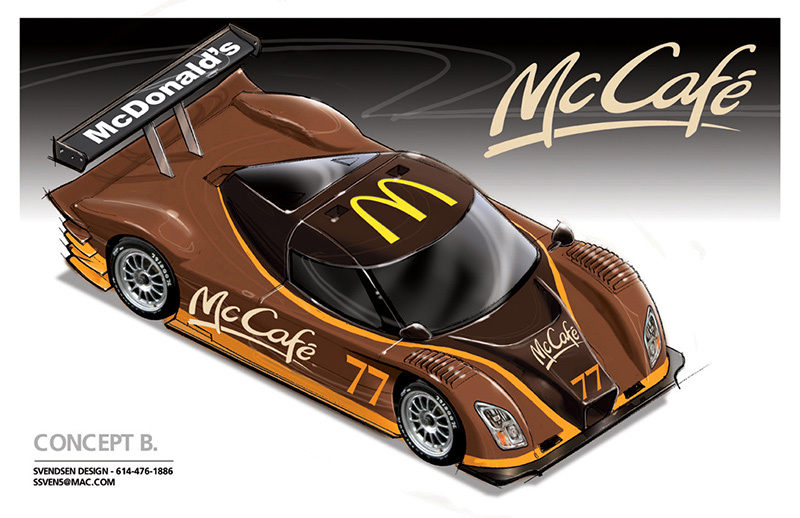 These concept sketches were samples that were shown to potential sponsors as an enticement to help them invision what a car would look like dressed in their graphics. 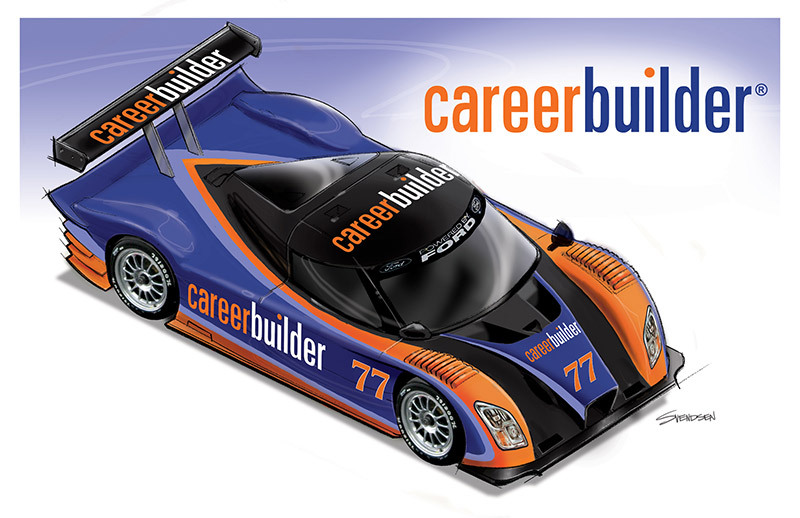 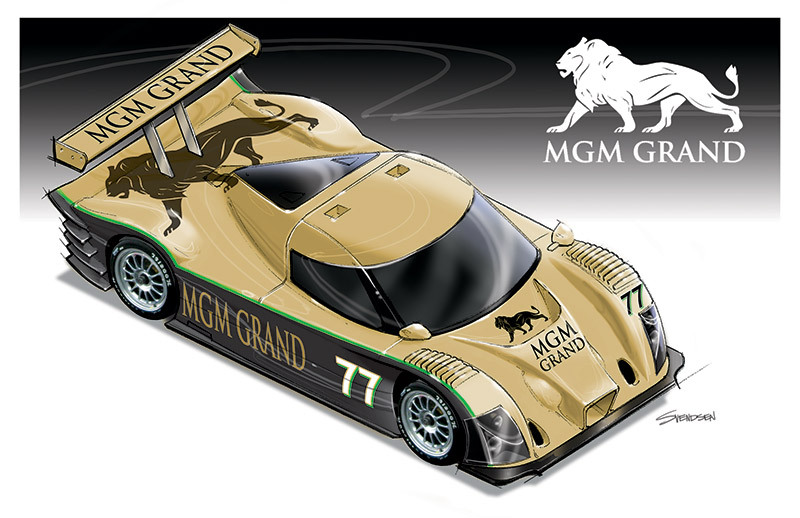 These were all done for a Rolex Series Grand Am endurance racing team which ran a Ford powered Dallara chassis.